Why spend time reading dull instruction manuals when you can drive off with a few of your buddies and have a fun time performing a radar detector test? In addition to getting to know the device, there are other benefits to conducting a radar detector test. If you still haven’t finalized your purchase, you can use this opportunity to compare a few models and decide which one’s the best. You also get to see how forests, curves, mountains, and different types of terrain affect the performance of your radar detector. Finally, you’ll learn a lot about radar technology and begin to fully understand every bit of information the device sends your way. You’ve probably watched a few videos and read some reviews before you went and bought a radar detector. People who created them have all conducted a radar detector test of their own and shared their findings so that others could benefit from them, too. You can give back to the community by sharing your test results with other folks who are interested in getting a radar detector. Post a video to YouTube, publish a review on your blog, or find a dedicated message board and write there. Most people use radar detectors to receive early warnings about speed monitoring devices ahead of them and have enough time to adjust their speed accordingly. With this in mind, we’ll explain how you can conduct a radar detector test that focuses on its ability to receive long range signals. 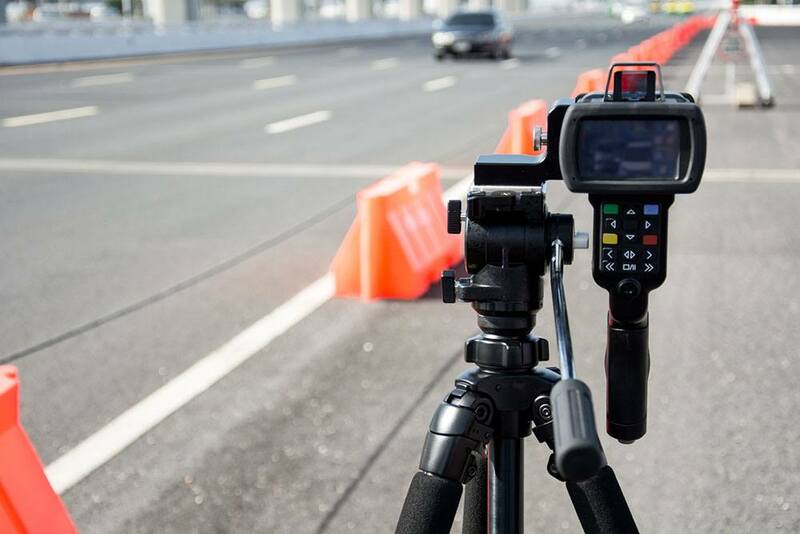 To test the performance of your radar detector, you will create an obstacle course of sorts. This being a radar detector test, you’ll need to bring your detector. If you want to test multiple devices at once, bring them all along and try them out one at a time. Don’t run two radar detectors simultaneously, as they will probably interfere with each other’s signals, and the results you get will be highly inaccurate. To conduct the test, you’ll also need a radar gun. If you know someone who has one, ask them to lend it to you for a few hours or invite them to join you. Otherwise, you will have to get your own radar gun. There’s no need to spend a lot of money on it, as there are many inexpensive models available to buy from online retailers. Because most of them are battery-powered, bring a USB cable or a standalone power supply to charge the gun in case the battery runs out. For testing purposes, you’ll need at least two cars: one to serve as the radar and the other one equipped with a radar detector. If you’re going to be making a video, you’re going to need a camera. To ensure that the quality of the footage you capture is good, opt for a standalone model over the one on your phone. You will need your phone to measure the distance between the detector and the radar. This can be done using the manufacturer’s official app; if there isn’t any, find a similar one in your app store. The right choice of the location where you’ll conduct your radar detector test will ensure that the results you get are spot-on. For starters, keep in mind that different obstacles such as hills, curves, and trees will limit the detection range of your device. What’s more, the detector might not receive any signal at all in certain spots, so take that into account while writing down the results. Make sure that the course you pick has a safe spot for you to park your radar gun-equipped car without it being in the way of other cars you’ll use for this test. To prevent the detector from sending you false alerts, choose a location that’s removed from heavy traffic, as well as other radar sources. For the results to be accurate, you will want to ensure that the weather is stable during the test. Check the forecast ahead of your little adventure and avoid doing this in the rain, as it can limit the detector’s range. Before you conduct the radar detector test, you need to prepare your equipment for the task. The radar gun should be pointed at the course so that it can detect all cars approaching it. You will also have to make sure that there’s nothing standing in front of it, as it will inevitably block the signal. Don’t move the radar gun or the antenna once you’ve set them up, as any change in their position will alter their ability to receive incoming signals. The same thing applies to detectors: if you’re going to be conducting a radar detector test on several different models, they all need to be mounted in exactly the same spot on your windshield. You should clean your windshield of all items that could potentially interfere with the device’s signal. Finally, double-check the settings of the detector to make sure that each model you test has the exact same settings. After you’ve finished setting up all the equipment properly, it’s go time! Turn the radar detector on and wait about a minute for all the features to load. Start driving from a point that’s as far removed from the radar gun as possible and note down all the results as they start coming in. Do at least two or three passes and compare the results you get each time. Whenever the detector sends you an alert, use the app to measure the distance between your car and the radar. Learning new things can be very exciting, so don’t forget to enjoy this experience as much as you can. Also, remember that sharing is caring, so make the results of your radar detector test available to fellow enthusiasts.